Sheila Johnson-Willis joined the University in 2012. In her position, she provides guidance and support to University leadership on matters of equal opportunity, affirmative action and anti-discrimination and leads the University’s efforts in the development and implementation of strategic and operational plans for advancing diversity and inclusion. Johnson-Willis also provides advice, counseling, and conflict resolution services to employees in matters relating to a broad range of employment and employee relations issues; including, investigating complaints of discrimination and bias. Prior to joining Syracuse University, Johnson-Willis served as the director of Equal Opportunity and Affirmative Action, and Title IX officer, at Colgate University; and as director for Affirmative Action compliance and Title IX coordinator at Indiana State University in Terre Haute, IN. William Myhill is pleased to have joined the Office of Equal Opportunity, Inclusion, and Resolution Services in February 2018 on a part-time basis as the interim ADA coordinator. In this role he will coordinate University compliance with the Americans with Disabilities Act and other federal and state laws and regulations pertaining to persons with disability, primarily focusing on the issues of University disability policies, accessible ICT procurement, student and faculty appeals regarding accommodations, and consulting on Campus Planning Design and Construction projects. 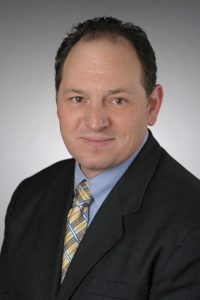 William joined Syracuse University in 2005 to conduct disability-focused legal research for the Burton Blatt Institute (BBI) and as an adjunct to teach specialized courses with the College of Law. Since 2009, he has served as the director of legal research and writing at BBI. 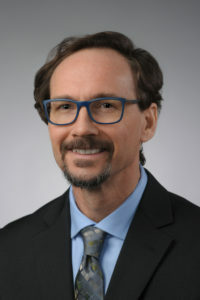 In these roles he has conducted extensive federally-funded research, supervised law students in their monitoring and briefing of ADA cases, collaborated across the SU campus for advancing awareness of accessibility and inclusiveness, and published on numerous issues impacting the lives of people with disability. William is also an adjunct with the School of Information Studies teaching a specialized graduate course for future librarians on providing inclusive services, and identifies with having non-visible disabilities. Alyssa joined the Office of Equal Opportunity, Inclusion and Resolution Services in August 2018. Campbell will work collaboratively with University leadership and Human Resources to create and implement strategies to further foster a culture of inclusion. 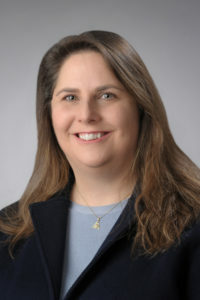 She will provide advice, counseling and conflict resolution services to employees in matters relating to a range of employee relations issues; investigate complaints of discrimination and bias; conduct internal audits of the University’s recruitment and other employment practices; and serve as a liaison with compliance agencies. Campbell will also pay a strategic role in the development and implementation of the University’s Affirmative Action Plans and Vets 4212 (a federal reporting mandate regarding the hiring of veterans), as well as in the implementation of individual administrative and academic units diversity plans. 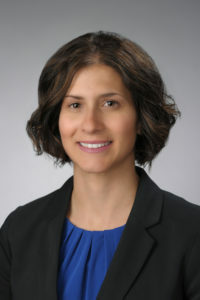 Prior to her appointment, Alyssa counseled and defended private and public sector employers on a variety of labor and employment law matters at Bond, Schoeneck, & King PLLC. She also handled cases involving colleges and universities and matters of ADA and 504 compliance. Alyssa earned a B.A. from the University of North Carolina at Chapel Hill and a Juris Doctor from Georgetown University Law Center. Bernie joined Syracuse University in 2015. He has experience in all aspects of criminal/non-criminal, and workplace investigations. He is committed to ensuring a fair process that respects the rights and interests of all parties. Prior to his time in higher education, Bernie was a uniformed attorney with the U.S. Army Judge Advocate General’s Corps. He has prosecuted cases in military court-martial and U.S. District Court as a Special Assistant U.S. Attorney. He has been appointed as a neutral Article 32 investigating officer and part time Military Magistrate; making impartial decisions whether cases should be referred to a general court-martial and issuing search authorizations to criminal investigators. Additionally, he was appointed as one of the Army’s first Special Victims’ Counsel assisting, advising, and protecting the rights of victims of sexual assault and relationship violence as they navigated administrative and criminal adjudication process. Bernie earned his Bachelor’s Degree from Culver-Stockton College in Canton, Missouri and a Juris Doctor from Saint Louis University in St. Louis, Missouri. Melanie has several responsibilities that support efforts to ensure that Syracuse University promotes a diverse and inclusive work and educational environment. In addition to investigating Title IX complaints, she investigates and coordinates responses to complaints of discrimination and harassment and ensures compliance with Equal Opportunity policies and federal, state and local regulations. Sheriah joined the Office of Equal Opportunity, Inclusion, and Resolutions Services in July 2018. Sheriah will support the University effort to promote a safe, diverse and inclusive work and educational environment. In addition to investigating Title IX complaints, she will investigate and coordinate responses to complaints of discrimination and harassment and ensure compliance with Equal Opportunity policies and federal, state and local regulations. 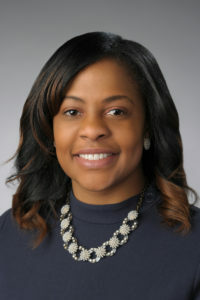 Prior to her appointment, Sheriah served as the Director or Residence Life and Student Conduct at Onondaga Community College where she provided leadership and direction to the Residence Life staff and program. 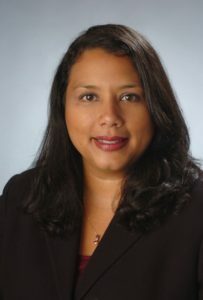 Sheriah also coordinated the College’s investigations into allegations of sexual and discriminatory harassment, including sexual assaults, created and implemented educational workshops on the student conduct process, and provided training opportunities for faculty, staff, and students on the conduct and Title IX process. Sheriah earned her Bachelor’s degree in in criminal investigations from SUNY Canton and her Masters in Social Work from Syracuse University. Melanie is a Vocational Rehabilitation Counselor and has over 17 years of advocating for individuals with disabilities in employment. Melanie joined Syracuse University in 2017 and coordinates accommodations for faculty and staff in her role. Prior to joining the University, Melanie worked in both public and private sector vocational rehabilitation since 2000. Most recently, as a Return to Work Coordinator for MetLife Disability since 2011. Her experience includes facilitating accommodations and development of return to work programs for many employers in the areas of Short Term Disability, Long Term Disability, and Workers Compensation. She received her BS degree in Psychology from SUNY Binghamton and an MS degree in Vocational Rehabilitation Counseling from Hofstra University. Christina provides training to students, faculty and staff on topics related to diversity and inclusion and Title IX. She joined Syracuse University in 2006 as the employment specialist on the Recruitment and Diversity team and she most recently moved to her current position with the Equal Opportunity and Inclusion and Resolution Services in 2016. Prior to joining SU, Christina held several positions in the area of human resources including working as an HR Generalist and supervisor. Christina has experience training large groups, small groups and individual employee training. She received her Bachelor’s Degree from SUNY Potsdam.